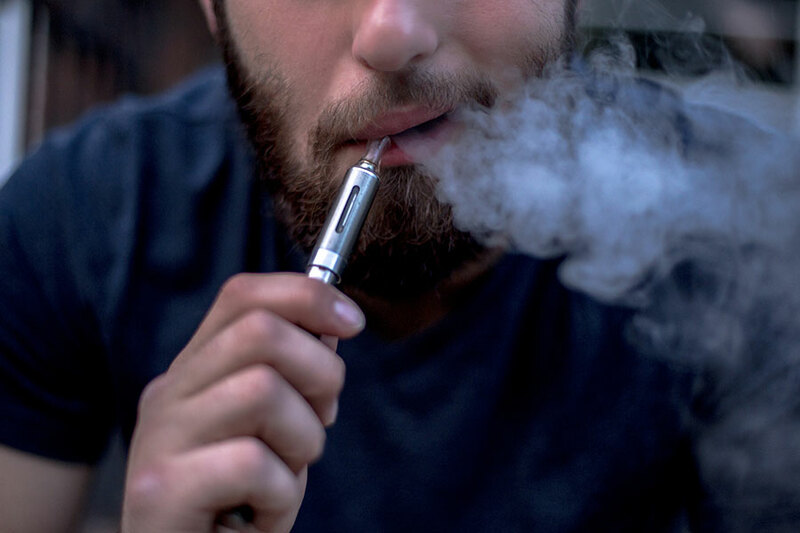 Recent news reports have noted the drastic increase in the number of youth and young adults who are now “vaping.” The term refers to the use of electronic nicotine delivery systems (ENDS), which include e-cigarettes and vapor pens. According to recent data compiled by the Surgeon General and the National Youth Tobacco Survey (NYTS), ENDS are now the most commonly used nicotine-containing product among youth and young adults. ENDS use has surpassed that of conventional cigarettes. Use by young adults ages 18 to 24 is higher than that of adults 25 years and older. Among middle- and high- school-age students, ENDS use has more than tripled since 2011. This increase is alarming. If we are serious about the health of our communities, ENDS usage and its serious health risks need to be acknowledged and dealt with aggressively. Unfortunately, there is a misperception that vaping is safe. ENDS are heavily advertised by promoting appealing flavors across a variety of channels, including social media. The ads reach a wide audience, including younger consumers. The most commonly cited reasons for using ENDS among both youth and young adults are curiosity, flavoring/taste, and the perceived low harm compared to other tobacco products. E-cigarettes can expose users to several chemicals, including nicotine, carbonyl compounds, and volatile organic compounds that have known adverse health effects. Currently, the extent of lung damage caused by vaping is not completely understood and is being actively studied. That said, there is no good evidence that it is safe, though the health risk may be less than with conventional cigarettes – but less risk does not equate to no risk. ENDS, however, may play a role in helping current smokers who are trying to quit. ENDS deliver nicotine to the lungs through flavored vapor. Numerous studies have shown this causes airway inflammation, irritation, and dysfunction at the cellular level. In addition, nicotine is an extremely addictive drug, and the adolescent brain is particularly susceptible to its effects. Nicotine is not good for the body, but the biggest concern is addiction. We know that 80 percent of smokers start smoking before the age of 18 and 99 percent start before age 26. We also know that kids who start using ENDS are at significant risk for becoming cigarette smokers. The adolescent brain is incredibly sensitive to the powerful addictive effects of nicotine. Nicotine affects both adolescent brain development and fetal growth in pregnant women. While nicotine exposure does not appear to have long-term cardiovascular consequences, there may be a higher risk for those with pre-existing vascular disease. How the nicotine is delivered to the body is what is most harmful, be it vapor or tobacco smoke. Again, it’s important to note that vapor may be less damaging than tobacco smoke, but it is still not safe. We know that the age group with the highest increases in the use of ENDS are youth and young adults. This population is at the highest risk of becoming addicted to nicotine, and really needs to be protected from getting hooked by ENDS and cigarette smoke. Underage smokers, in addition to breaking the law, are at tremendous risk for long-term and sometimes irreversible health problems. Our lungs continue to develop into our late teens and early 20s. The earlier our lungs are exposed to damaging substances, the more extensive the long-term effects can be, and the harder it is to quit. Most healthcare providers are experienced and qualified to counsel patients and advise on strategies for stopping smoking. Most people aren’t aware, but there are a lot of safe and effective things available to help people quit. A personalized approach by a health care provider with experience in helping people quit smoking is probably the most effective means. Lifespan’s Behavioral Medicine Clinical Services offers a quit smoking program. There are also online resources available, including the American Lung Association, the CDC’s SmokeFree.Gov site (or 1-800-QUIT-NOW), and the Community Health Network at the Rhode Island Parent Information Network. The most important thing is to keep trying and get help when you need backup. Stopping smoking is very hard but very doable—and it is probably the most important step a person can make toward better overall health. I like to say that our lungs evolved to breathe one thing and one thing only: air. We in Rhode Island and Southeast Massachusetts generally have excellent air quality and we shouldn’t compromise it by inhaling noxious and addictive substances. Dr. Samuel Evans is a pulmonologist at Newport Pulmonary Medicine, a Lifespan Physician Group practice.